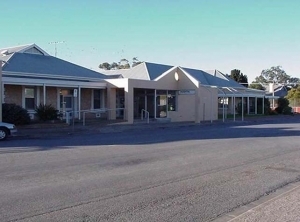 Yorketown Hospital is located on the Yorke Peninsula. Yorketown is approximately three hours’ drive from Adelaide, SA. We are a short drive away from both coasts of the Peninsula with ample locations for boating, fishing and camping. Our community has a diverse and fluctuating population. Yorketown is a small service town for a farming community which transforms into a busy supply centre during the holiday season. There is also a shipping industry for grain transport and local mining businesses. Our patients come from a variety of backgrounds. We treat patients with chronic illnesses, age-related diagnoses and acute and accidental leisure and sporting injuries. Australian Government-funded Rural Locum Assistance Program (Rural LAP) have really eased the burden with their support. We are able to get a locum nurse to cover our staff members that need to take annual leave or upskill and attend a training course. We have found the Rural LAP booking process exceptionally simple and well communicated. Registrations are made online and responded to promptly via email. No commission or fees are payable. We have utilised Rural LAP for approximately 6 years, as it was promoted as the supplier of choice by Country Health South Australia. Generally, we require locum support for annual leave but the program has also been used to ensure all staff are upskilled, particularly for courses which require all staff attendance. The program ensures our community has a team of health professionals that are adequately rested and appropriately trained. There are also some added benefits such as locums offering fresh ideas from previous workplaces which provide a reciprocal learning environment. Rural LAP locum, Liam Correy, was well received by the nursing and medical team. Liam brought with him a vast amount of experience suited to our rural environment. We made sure we supported him by rostering him on with our experienced permanent enrolled nurses. We believe Liam enjoyed himself as he was happy to return for his second placement. We would definitely use Rural LAP again into the future and I would definitely recommend the program to others. Tanya Gutsche is the Associate Clinical Services Coordinator for Yorketown Hospital, SA responsible for direct patient care, rostering and relief for the Clinical Services Coordinator. Nursing: if it's your calling, now is your time.